One of the most distinctive and effective aspects of the T.I. approach to swimming is not merely our focus on efficient technique– it’s the way in which we approach the learning process itself. “Meta-learning”– or learning how to learn– is a key element of how we pursue swimming as a path for kaizen mastery (continuous, life-long improvement). 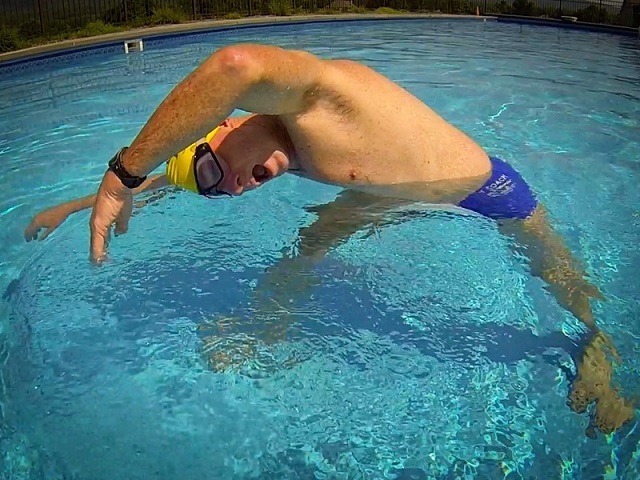 We set clear intentions through deliberate practice of specific and discrete skills, and every feature of practice is purposeful, designed to sharpen our mastery of even the subtlest movements within a swim stroke. 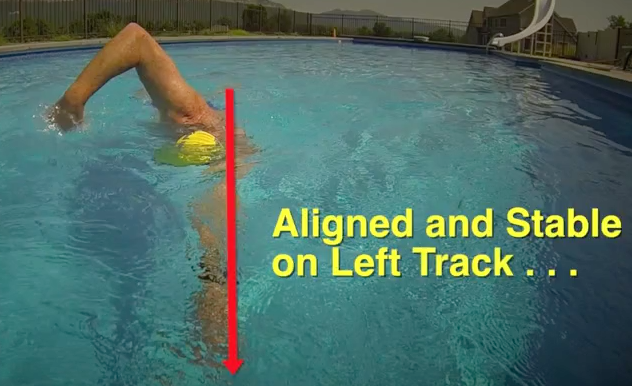 The complex movements of whole-stroke swimming are deconstructed into its simpler skill components (“mini-skills”) for ease of learning and practice, building the stroke piece by piece, from the ground up. Teaching though this building-block method has always been an integral part of the T.I. process and our swimmers’ success, as each drill and skill in our learning progression builds upon the previous drill and skill. A credo Terry often quoted from the U.S. military is the philosophy that “Slow is smooth and smooth is fast”– it is imperative to learn and master foundational skills at slow speeds in order to perform them impeccably at faster speeds and in more complex movements. This September 2016 post from Terry is an in-depth look at how T.I. applies the specific learning strategy of “chunking”– breaking a component into smaller “chunks” of related information– to the practice of swimming, and how this approach is a key to your success in swimming mastery. At some point, all kaizen swimmers employ a learning strategy that cognitive scientists refer to as “chunking.” Chunking refers to grouping separate pieces of information together to facilitate learning by remembering the groups as opposed to a much larger number of individual pieces of information. The types of groups can also act as a memory cue. In TI we group by body segment (head, torso, arms, legs) and skill type (Balance, Core Stability, Streamlining, Propulsion). We learn to read via a chunking process. First, we learn the sounds of individual letters which assemble into words we generally know before beginning to read. Three individual letters (d-o-g, c-a-t) form a group that represents a family pet. Next, we combine a series of words into a phrase or sentence. Via several additional chunking steps we may acquire the skill of speed reading, in which we rapidly scan pages of text, identifying key phrases which convey the main ideas of what we’re reading. Chunking is a key strategy for learning complicated physical skills such as swimming. In T.I. methodology, we call this approach “Blend-and-Harmonize”– as in, blend several discrete mini-skills, then bring the new skill set into harmony with the whole stroke. Long before I knew of it as a learning strategy, I instinctively employed a chunking process to learn new skills. This first occurred nine months before the first T.I. camp, before I’d chosen the name Total Immersion, or even thought of offering a swim camp for adults. The first skill was Balance, to which I was introduced by Bill Boomer. Bill taught me to align my head with my spine and shift weight forward to my upper chest. We called it “swimming downhill.” Practiced together, these two skills (aligning head and spine; shifting my weight forward) made my legs feel light, something I’d never experienced in almost 25 years of swimming. I learned later that sequencing Block, Random, and Chunking practice (the names for which I didn’t even know when I began doing that) accelerates transfer of skills from conscious to autonomic control. Or to use a more familiar phrase: Forming a Muscle Memory. It took me about five years of similar experimentation to achieve Balance in even a rudimentary way –it felt great at the time, but I didn’t yet know how much better that sensation would become in the years ahead. Over the next 10 years, I continued to discover new mini-skills—like the Mail Slot entry and reaching below my bodyline–that improved my sense of weightlessness in the water. When Balance became a single, seamlessly-integrated “sensory package,” that freed up mental bandwidth to add new skills—Stability, Streamlining, Propulsion, and Breathing. It would be many years before I read about chunking as a learning strategy and I could apply that term to what had occurred to me– finally, I could articulate the theoretical framework to describe how I’d intuitively been practicing all along. Both before learning about chunking, and since then, I’ve developed countless skills by the same process. 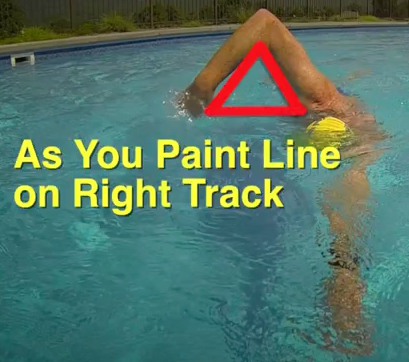 For instance—as outlined in the 1.0 Effortless Endurance Self-Coaching Course—I achieved a far more refined and efficient freestyle recovery by breaking it into three discrete mini-skills, each of which occupy only a micro-second in the stroke—Elbow Swing, Rag Doll Arm, and Paint a Line. As brief as these mini-skills are, I have a keen awareness of each, acquired by applying the proven sequence of Block, Random, and Chunking (or “Blend-and-Harmonize”) practice to them. Fast forward to the present day: I have a far more expansive and holistic “chunk” to which I could give the term “My Utterly Blissful Freestyle,” which integrates six to eight sizable chunks of skills that I’ve developed over the years. Accessing such high level sensation used to be hit-or-miss. It often took 30-60 minutes to “find” the peak feeling I’d acquired at that point. Now those high quality sensations are absolutely dependable—always there–and I can consistently access them within just a lap or two. Learn all the skills of efficient freestyle with the Total Immersion Effortless Endurance Self Coaching Course!